Arezzo is a charming, medieval town located on a steep hill in Tuscany and is much less touristy than other cities such as Florence or Pisa. Despite being somewhat off the tourist map, it has so much to do and see and is great for experiencing authentic Tuscany which is why guests on our cooking holidays in Tuscany visit Arezzo. So, for those looking to get a taste of what to expect from our Tuscan cooking holiday, we thought we would give you some insider tips to the best bits of this less visited Tuscan town. This medieval square is set right in the heart of the city and historically was the main marketplace. Sadly much of the Medieval city was destroyed during WWII, however luckily the piazza survived as well as the Romanesque church of Santa Maria della Pieve which sits on the square. The Piazza is the perfect place to take part in the Italian tradition of “La Passeggiata”, which is a gentle, evening stroll through the streets. And, for those who are fans of Italian films, this beautiful town was used as the setting for Roberto Benigni’s film Life is Beautiful. Our favourite place in Arezzo to stop off for a coffee and a well deserved sweet treat is the Pasticceria Tiffany. There is plenty of seating inside for those looking to escape the sun, but also outdoor seating for those looking to enjoy the sunshine while they sip their coffee. 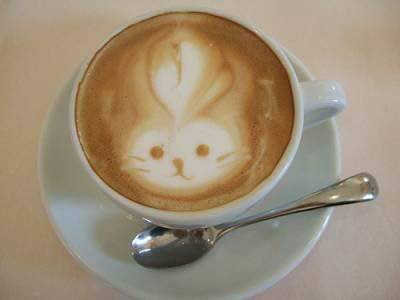 Perhaps the best bit about the cafe is the designs (or “latte art”) the baristas make with the crema and milk foam; they can do everything from butterflies to cats! They also do great cakes that are made fresh each day. The house was built, decorated and lived in by the Renaissance artist, Giorgio Vasari, and is a treasure-trove of Renaissance art. Vasari is an incredibly important figure in Italian Renaissance history and he is considered to be one of the first Art Historians. The house was sumptuously decorated with Vasari’s own frescoes as well as work by various artists. The archives within the house are fascinating and there are many handwritten documents of correspondence between Vasari and his famous contemporaries such as Michelangelo and even Pope Pius V! It is a great place to visit for those looking to soak up some culture or get inspired on our Italian painting holidays! 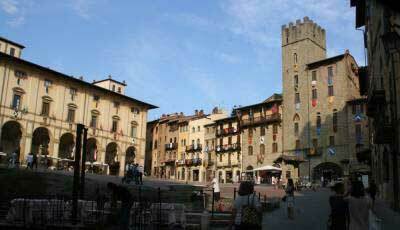 Arezzo has some fantastic places to stop for lunch or dinner that showcase classic Tuscan cuisine. You’ll find some fantastic pasta dishes with traditional sauces using game, mushrooms and sausages, and also the delicious bean soups such as Ribollita. On our visits to Arezzo we take guests to a fantastic restaurant where they get to sample some of the best Tuscan food with some great wine! 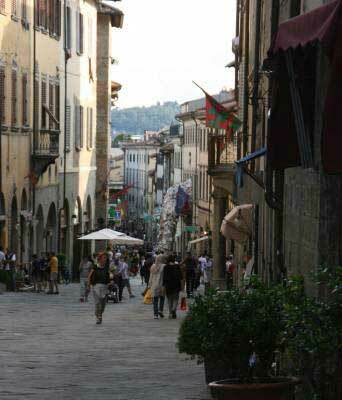 We hope you have enjoyed our guide to Arezzo and it has inspired you to visit this beautiful, Tuscan town. On our holidays in Tuscany our guests stay in rural, unspoilt locations and have the opportunity to see much more of this beautiful region than the usual tourist trails. 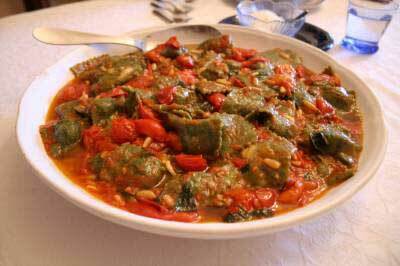 Guests on cooking holidays learn how to make regional dishes and also visit many artisan food producers. For more information about our holidays in Tuscany click here, or to find out more about our itineraries speak to a member of our team today!